One of the overlooked pitfalls facing physicians is after-hours calls. The information can fall by the wayside, queries can get lost in the shuffle or aren’t addressed in a timely way, or the on-call physician doesn’t have access to the patient’s chart at the time of the call. Another risk is that potentially crucial information from that call doesn’t get documented which can have serious implications in the event of a malpractice suit. MedXCom was formed by a couple of physicians who lost a malpractice suit in part because they lacked the data from an after-hours call. CEO Henry Kane talked about the company’s approach to record and automatically integrate these calls in an interview from MedXCom’s Hoboken, New Jersey offices. Ironically, Kane comes from the medical malpractice industry where he worked with large physician practices. He noted that most of the after-hour communication from patients is through a live operator service. He observed that these services tend to be national or regional and often use antiquated technology. With MedXCom’s approach, patients decide whether to leave a voicemail for the office staff to be answered the next business day, leave a non-urgent voicemail for the provider, or connect with the physician at that time. When patients want to speak with the provider after hours, they are identified by their number, the app automatically serves up relevant personal health information from their EHR, such as allergies, the medication they are on and last visit notes, Kane noted. 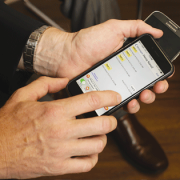 The on-call physician can push a button to save the conversation, and their post-call notes, into the EHR. Urgent calls are connected to the on-call provider in real time while the phone app displays the patient’s chart. After the call, a link to the call recording and any post call notes automatically flow back into the patients EMR record as an encounter. The target markets are practices that take a lot of after-hour calls, specifically pediatrics, cardiology, OB-GYN, and surgical practices. The company is also endorsed by the American Academy of Oral and Maxiofacial Surgeons. Two types of partnerships are helping drive sales. Athenahealth and AdvancedMD are the first major electronic health record vendors to partner with MedXCom and Kane said his company is talking to others. Medical malpractice insurers are also important partners. “Medical malpractice carriers told us ‘if you integrate with EHRs we will support it.’” NORCAL Group is one such group. It incentivizes physician practices to adopt MedX by giving a 10 percent discount to those that use it. Although many medical malpractice insurance companies offer discounts of up to 5 percent for taking a course or using a specific medical protocol, Kane claimed that MedXCom is the first automated tool to garner such a discount. The business has also added the ability to display data from a patient’s chart in real time, created a way to enable HIPPA-compliant texting and integrates with 90 percent of the live operator services in the country. The rationale behind this move is to provide an option for people who still want the personal touch of a local operator with a value-added service to sell full integration with the EHRs, Kane said. To date, the company has 3,000 clinical users across 48 states, according to Kane. So far, the company has secured investment from angels and has not yet needed to approach institutional investors for funding, but that could change next year as the company focuses on scaling the business. Healthcare is ripe with opportunity for investors and entrepreneurs. Mobile health, sophisticated consumer expectations, data transparency and preference for on-demand services at a flat fee have ushered in a class of companies that resist the status quo. Here are 11 companies disrupting healthcare today. They’re worth keeping an eye on. Note: This is not an exhaustive list, and this list is not an endorsement of included companies. Companies could not pay for inclusion on this list. Companies are presented in alphabetical order. Forward. Founded in 2016, San Francisco-based Forward is a health membership that provides members with access to physicians with data-driven technology, artificial intelligence, wearable sensors, 24/7 mobile access and a medical facility for preventative care. Members first come into Forward’s medical office — which features six exam rooms equipped with interactive, personalized displays — to receive their in-person baseline appointment, according to the company. After that, Forward has a medical team that can be accessed worldwide via the Forward mobile app, and the artificial intelligence system can detect abnormalities in heart rate and blood pressure, among other data. The membership is $149 a month, billed annually. MD Labs. When Reno, Nev.-based MD Labs was founded in 2011, its goal was to specialize in prescription monitoring toxicology and serve physicians nationwide. Since then, it has consistently added services based on client requests and pharmacotherapeutic trends. In 2014, the company started offering the Rxight pharmacogenetic program to hospitals and health systems. This testing, which was recently integrated into an acute coronary syndrome protocol for catheter labs, provides genetic guidance to physicians, allowing them to better understand individual patient responses to prescription medications. The Rxight program aims to reduce adverse drug reactions, provide health system cost savings, and reduce hospital readmission rates. Medalogix. This Nashville, Tenn.-based company provides predictive analytics to home health caregivers. The company’s solutions help home health clinicians predict and then act upon patient risk such as avoidable hospital readmission, necessity of additional care and mortality, according to Medalogix. In 2017, the company will launch “Path,” a prescriptive analytics tool that incorporates CMS’ value-based purchasing outcomes measures. The goal with the tool is to calculate optimized care plans for individual patients to drive outcome improvements. Medalogix also offers three other solutions — Touch, Bridge and Nurture. Touch predicts which patients are most likely to readmit to the hospital and then helps clinicians act upon that risk by deploying touchpoint calls, the company said. Bridge predicts and risk ranks patients according to their likelihood of benefiting from hospice care and also helps clinicians manage patients’ home health care. Nurture predicts which discharged patients will benefit from additional care and provides calendars, monitoring tools and calling prompts to streamline an aftercare or discharged patient calling program. MedXCom. MedXCom, based in Hoboken, N.J., is a hybrid medical answering service to document, record and flow all incoming and outbound afterhours calls into a patient’s EMR chart. The system pulls patient chart data in real time as their call comes through, displaying it on the covering physician’s smartphone, the company said. After the call, MedXCom automatically saves a recording of the conversation, along with any post call notes, directly into that patient’s chart. MedXCom currently integrates athenaClinicals, an offering from health IT software vendor athenehealth, and has development agreements in place with several other major EHR vendors. Next IT Healthcare. Next IT Healthcare, based in Spokane Valley, Wash., is an intelligent interface company that develops artificial intelligence-powered patient engagement solutions for healthcare organizations. The company said by utilizing advanced cognitive technology to support a unique conversational user interface, their digital health coach offers patients real-time personalized coaching, resources and interventions to empower individuals to change behavior and achieve better health outcomes. Patientory. Patientory, based in Atlanta, is described by some as the “Facebook for healthcare.” Through the company’s mobile app, Patientory users create an individual profile. Their medical information is then stored in the secure, HIPAA-compliant blockchain platform, which allows them to connect with other patients who have similar health issues or concerns, their physicians and their care team. Patients can then actively learn more about their overall health and well-being. In addition, patient and clinician users can engage Patientory’s platform to better manage the patient’s care across multiple teams, both inside and outside of the hospital. Procyrion. Founded in 2005, this Houston-based biotechnology company developed the Aortix system. The Aortix, a minimally invasive catheter-based heart pump, is designed to rest the heart by reducing afterload and improve blood flow to vital organs, according to Procyrion. The company said the Aortix is different from other circulatory assist devices, including ventricular assist devices, that involve invasive, high-risk surgical procedures, because it is small enough — 6 millimeters wide and less than 6.5 centimeters long — to allow for deployment without surgery and with minimal procedure risk. Procyrion is a development-stage company, and the Aortix micro-pump is currently in pre-clinical testing to support a first-in-human trial scheduled for the first quarter of 2017. Solera Health. Solera Health, based in Phoenix, aims to make chronic disease prevention programs affordable, accessible and efficient. As an integrator for prevention and management programs, Solera Health’s national scalable model was designed to consolidate highly fragmented lifestyle modification programs and services into one integrated network, according to the company. The company does this by connecting individuals with programs as a covered medical benefit. Solera Health’s proprietary analytics model proactively identifies the “best fit” program provider based on an individual’s unique needs and preferences as they believe consumer choice is paramount to individual engagement and outcomes, and ultimately, to the program’s success. Solera Health said its technology creates a marketplace connecting the 86 million U.S. adults at risk for type 2 diabetes with the more than 1,000 CDC-recognized digital, national or community-based diabetes prevention programs. swyMed. This Lexington, Mass.-based company’s patent-pending technology enables real-time video telemedicine consults. The company has adapted its technology, originally developed for satellite data transmission to the 1996 Olympic Games, for healthcare. SwyMed is used by healthcare providers for home health, emergency medical services/critical transport, telestroke and community paramedicine throughout the United States, Europe and the Middle East. Twin Sails Technology Group. This Houston-based company developed a tablet-centric, customizable EHR solution for hospitals. At hospitals using this solution, nurses and physicians use iPads running Twin Sails Neptune EHR. Neptune EHR, unlike some other EHRs whose mobile apps provide only highly restricted and/or read-only access to patient records,was designed from the beginning for all-day use from a mobile device, even for inpatient care, the company said. Twin Sails Technology Group said its Neptune EHR also integrates across multiple settings of care, giving providers a complete picture spanning clinic visits and outpatient/inpatient hospital stays. Welltok. Denver-based Welltok is a consumer health software as a service company. Welltok’s CaféWell Health Optimization Platform, accessible via web and mobile, complements claims and clinical enterprise platforms and supports consumers in their everyday health. The company said it creates a data-driven personal health itinerary for each consumer with available and relevant resources, programs and benefits; rewards individuals for healthy activities and promotes healthy behaviors. *Erin Dietsche contributed to this piece. Keeping track of patient communications after hours is like a bad game of telephone. It’s all too easy for doctors to end up with inaccurate information, or no information at all, when they return the next morning. 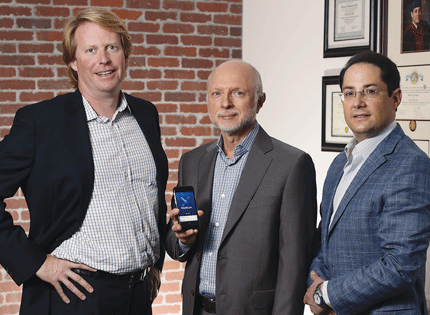 So three New Jersey doctors got together to create MedXCom — a startup company that launched an app in 2010 to help doctors keep up with their technology-savvy patients and simultaneously remain HIPAA-compliant. “Physicians don’t even know they need it at this point,” CEO Henry Kane said, explaining just how robust the app is. 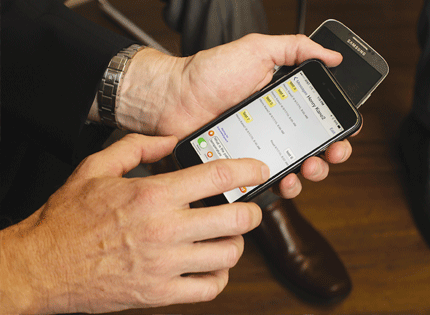 The platform provides a way for patients to securely text and call doctors. It provides doctors with the ability to choose when to receive calls and texts, can instantly make changes to on-call redirects, differentiates between patients’ contact information and other physicians, and stores all communications for 23 years. It also shows patient information such as age, problems, medications and allergies on screen so the doctor can have all the details handy when communicating with the patient. Up until two months ago, the app operated alone, but seeing that some patients and doctors still prefer a live operator, MedXCom added the feature, still keeping the hybrid service affordable. The app is a cost-effective tool, its creators say, since it reduces the pay-per-minute billing that comes with live operators. Instead, the app is priced with flat rates on many services, resulting in one-third the cost, though the use of the live operator option will still result in traditional fees. Every single form of communication — whether it’s a text or a phone call answered by the doctor, on-call doctor or resident, or even the live operators — is recorded and easily retrievable by the doctors. That was a key to the start of the app. But texting and calling are not allowed under HIPAA rules, so the app was born. And with the tech expertise of the founders, added security was a no-brainer. 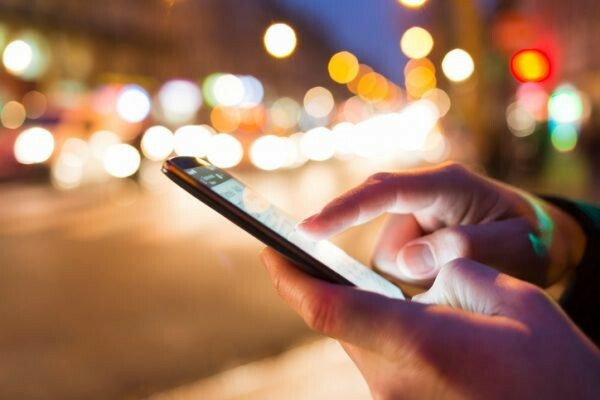 The robust app was created by three doctors, Nusbaum, Annette Nusbaum and Michael Rothkopf, after a colleague was sued in a he-said-she-said night call situation. Nusbaum has a background in technology, having been an avid hacker in his teenage years. Both he and Rothkopf have been pioneers in medical technology, and revealed a tablet-like computer that they used to keep track of patient records in 2000, long before iPads ever made it a mainstream concept. Doctors who communicate with patients after hours need to keep regulations in mind when they do so. The founders began the company with $2 million of their own money (along with contributions from family and friends), and spent two and a half years developing the app before pushing for a wider audience and bringing Kane on board. The 14-person operation is headquartered in Hoboken and is steadily growing despite having turned away investors, Kane said, adding that MedXCom currently has enough capital for operations 10 months out. Having had time to work out any kinks, MedXCom now seeks to take on a larger share of users by relying on water cooler discussions through medical societies, health insurance agents and health care lawyers. And the company is one of a growing population around the country. Just last week, an entire conference was dedicated to the so-called medtech field in California. Meantime, Ernst & Young Global released a report Oct. 6 that defined financial struggles of such medtech startups. Venture capital investment held steady from 2013 to 2014, but early round investment dropped 19 percent to less than $1.3 billion. And despite a robust market for initial public offerings and a number of mergers and acquisitions, there is a dwindling pool of investors for early-stage companies. The market trend is certainly reminiscent of the dot-com era, said Dave DeMarco, Northeast life sciences leader at EY. “In the dot-com era it was technology; now with medtech it is a combination of technology and regulatory transformation,” DeMarco said. “The opportunities exist today for medtech to drive changes in the industry by being the first to deliver on the move to better health outcomes. 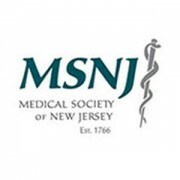 HOBOKEN, New Jersey – MedXCom, an innovative night call management and HIPAA secure texting company is proud to announce a new corporate partnership with the Medical Society of New Jersey (MSNJ). MedXCom will offer their cloud-based hybrid automated/live operator system to MSNJ members at a substantial discount. MedXCom, accessible via a simple to use smart phone app, helps put physicians directly in control of their practice, thereby improving risk management and enhancing patient safety. Founded Hello by three highly successful New Jersey physicians, MedXCom streamlines patient/physician interaction and provides several benefits to doctors beyond improved risk management. The night call system initiates caller ID protection for physicians, filters non-urgent calls, provides HIPAA secure texting and records and archives all conversations with patients for 23 years. According to Morristown, NJ plastic surgeon Dr. Farhad Rafizadeh, his patients are pleased with the efficiency of the MedXCom system. “My patients are impressed when they contact world! me through the MedXCom platform because they don’t waste time waiting for an operator to pick up the call. But, on the other hand, for my patients who really like a human voice answering the call, this system offers a live operator as well. Either way the call is recorded, HIPAA compliant and allows me to choose if I want cheap mlb jerseys a patient to see my phone number cheap jerseys which protects my privacy, which is important to me,” he said. MedXCom benefits patients as well by providing a HIPAA secure “portable medical record” accessible to them online or via their smart phone. This accessible portable medical record also allows any physician to make a more accurate diagnosis for the patient when a night call/emergency is necessary. Three successful New Jersey physicians first conceived of MedXCom in 2010. “After a colleague of mine was sued over a ‘he said/she said’ conversation that occurred in the middle of the night, the idea to record all night calls was born,” said Dr. Nusbaum. “We kept asking ourselves how this situation could have wholesale mlb jerseys been Flyers avoided. We knew whatever we created had to fit our mobile society, be HIPAA secure and allow the doctor to remain in control.” Five years later, and after substantial development, MedXCom is considered cheap nfl jerseys to be one of the most advanced night call platforms available on the market today. For more information on MedXCom, visit www.medx.com.